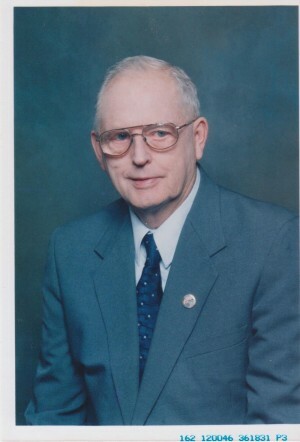 OSWEGO, NY – Stanley R. Ottman, 89, of Phoenix, died Friday January 2, 2015, at St. Joseph’s Hospital, Syracuse. He was born in Minetto, NY, to the late Roscoe and Anna (Savery) Ottman. He remained a lifetime resident of the area living in Oswego, Baldwinsville and Phoenix, NY. Mr. Ottman served in the Merchant Marine. He was past employed at A&P, Tops, Price Chopper, and Wal-Mart in the management departments before retiring at 80 years old. Mr. Ottman was a member of the Lions Club and the American Legion. He was a volunteer ambulance driver for Baldwinsville Ambulance Corp.
Mr. Ottman was predeceased by his children: Robert and Judith Ottman. He is survived by his wife of 69 years, Josephine Ottman of Phoenix; eight children: Jo Ann Ottman of LaFayette, NY, James Ottman of Oswego, NY, Carol (William) Mosley of Tennessee, Mary Jo (Daniel) McCarthy of New Mexico, Debra (Robert) Martin of Tennessee, Stanley (Lisa) Ottman of North Syracuse, NY, Mark (Ginny) Ottman of New Jersey and Matthew (Diane) Ottman of New Mexico; sister, Adrienne DeGroff of Oswego; 11 grandchildren; six great-grandchildren; and many nieces and nephews. Funeral services will be held 11 a.m. Tuesday at the Sugar & Scanlon Funeral Home, 147 W. Fourth St., Oswego, with Rev. John Carter officiating. Burial will be held in St. Paul’s Cemetery, Oswego. Calling hours will be held Monday 3 to 6 p.m. at the Sugar & Scanlon Funeral Home. Our sympathy to the Ottman family….the best neighbors we ever had. MY LATE HUSBAND, CLARENCE (TONY) VAN AKSTYNE, WORKED WITH “STOSH” FOR MANY YRS AT THE A & P–I BELIEVE TONY TOOK OVER THE STORE IN PHOENIX FOR STAN. WE WERE SURPRISED MANY YRS LATER TO SEE HIM AT WALMART IN OSWEGO–THEY ALWAYS ENJOYED TAKING A “SWIPE” AT EACH OTHER. THOUGHTS & PRAYERS TO HIS FAMILY. Jim and family, my thoughts and prayers are with this wonderful family. Sad to hear! Loved growing up with the Ottamans! They were a great family who opened their doors to all their kids friends! Enjoyed my time there and will never forget visits with Fr Pompie & great food! You are all in our prayers!